Have you just cleared out your flat in London and now you have old furniture, electronics and other appliances that you no longer need? Maybe you are preparing a flat that you are going to sell? Or perhaps it’s a recently deceased relatives flat that needs clearing out? Your reasons really do not matter. Hiring a professional company to provide you with a flat clearance service is what matters. Go Rubbish Go. advises you to use our excellent London flat clearance service if you need help. We are an insured and licensed flat clearance company in London offering services at amazing value for money. When you hire us, we are committed to ensuring everything goes according to plan so that you are left a happy and fully contented customer. 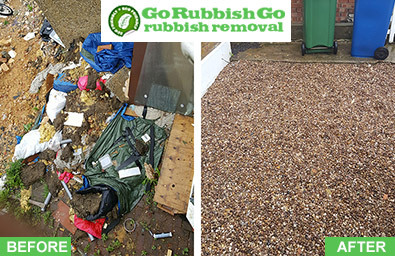 We can assure you that all of your rubbish will be cleared out properly and you won’t be left with a scrap of rubbish once we have done with it. Our flat clearance service is the best and you should definitely think about using us. It doesn’t matter whether your flat is on the top floor, we are more than able and capable of helping you. If you have anything valuable, don’t throw it! Either sell it or donate it to a good cause. Don’t waste! Call 020 8610 9182 now for a free quote. Our team is very experienced in what they do. 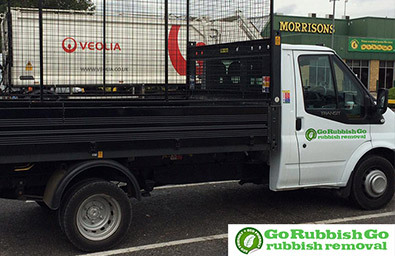 They can handle flat clearance and waste removal all over London. If your flat is full of waste right now, we highly recommend even just considering our London flat removal service. If you call us, we can provide you with more information so call 020 8610 9182 and see what you think. We are very flexible so if you are in need of an urgent flat clear out, you can count on us 100%. There are loads of reasons why you might need an urgent flat clear out. We recommend booking with us right now. We will do our very best to fulfill your every need. If you have any specific needs, please get in touch and explain them to us so we can do everything without our rights to help you. Our aim is to ensure our clients are completely happy with our flat clearance London service. So if you need flat clearance, please think about hiring us now and trust us, you will be more than impressed with our work. Before hiring us for London flat clearance, sell or donate anything that might be valuable. For instance, some electrical goods are worth recycling because it saves them being thrown away. That’s just called plain waste and it’s no good for our eco system. For the rest that can’t be sold, donated or recycled, you can turn to us. Go Rubbish Go. has a superb reputation for being one of the best flat clearance companies in London. If you need a quick and cost effective flat clearance service, turn to us and we can help you out. There is no doubt about it, you will love our work. You see, we work quickly and efficiently. In next to no time, all of your flat rubbish will be gone for good. Our flat clearance service London is great value for money and we won’t leave you waiting. Delays never happen with us. So if you are restricted for time, you don’t have to worry. For a free quote, call us now on 020 8610 9182.